Azzurro Mare Inflatable Rafts for Class IV Whitewater Rafting on SALE. Premium private label - AZZURRO MARE Boats are manufactured by Saturn Inflatables for upscale European market. A limited number of these beautiful inflatable river rafts are available in the US exclusively at BoatsToGo.com. 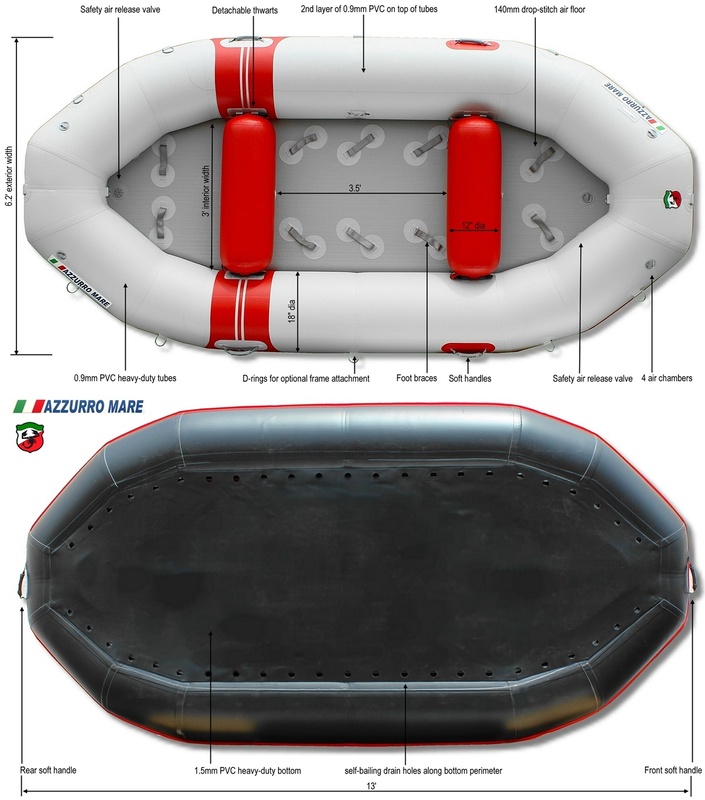 The same excellent quality rafts as Saturn available in diferent color combinations. Standard warranty for AMR385 river rafts is 3 Years. 13' Commercial Grade Self-Bailing Whitewater River Raft AMR385 is great for both fishing and whitewater rafting and ready for Class III+ whitewater rivers! The higher rocker provides an exhilarating ride on whitewater like no other raft! It is an excellent whitewater paddleboat for 6-8 people or a nifty rowing rig for 4-5 people and lightweight gear. AMR385 river rafts bottom is made of extra heavy-duty 1.5mm PVC fabric, that is almost double of thickness of standard 0.9mm used in most other brands! In addition, all surface of lower tubes of new AMR385 rafts are also covered by second layers of 1.5mm PVC. That is standard 1100 Dtex 0.9mm of tubes PVC, plus an additional layer of 1.5mm PVC, making these rafts almost indestructible! And all that at very affordable price! Both inflatable thwarts and air floor are completely detachable and removable. Rafts tubes are made of heavy-duty 0.9 mm (1100 denier) PVC. Detachable 140mm drop-stitch air floor with foot holders. Naru flat valves design with pushpins. Soft lifting handles all around the raft. D-rings around raft for optional frame attachment. Raft bottom is made of 1.5mm, extra heavy-duty PVC fabric. Double layers of PVC fabric on top of tubes for extra durability. Two detachable inflatable thwarts 12" diameter each. Accessories: hand pump, repair kit and carry bag included. Paddles are NOT included, and show for demonstration purposes only. 55 x 25 x 11"
I've had this raft for 2 seasons now and it has held up Great. Have taken it down the Ocoee River a dozen times now and it's still like new. This raft has a lot of great features. My favorite feature is the foot holds. Anyone that has ever been in a raft without foot holds will understand how nice it is to have these. Lastly the price is unbeatable. I purchased a small frame for the boat and with the easily removable thwarts it made for an easy conversion and an excellent overnight boat, soon my half day trips had extended to 2 or 3 day trips. 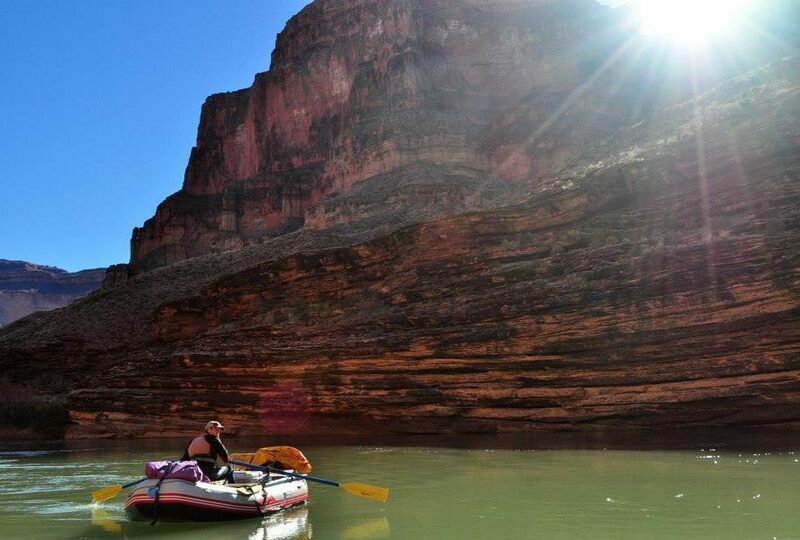 I began dreaming of bigger and grander adventures until finally I set my sights on the grandest of all river adventures: rafting the grand canyon. I was lucky enough to secure a private party river permit on my first attempt, albeit during the frigid winter months of December/January. Now it was time to select a boat. I knew that while the Azzuro Mare had performed admirably on everything I had thrown at it, at 13ft it was well short of the recommended size for watercraft traveling down the big waters of the Colorado. Against my better judgment and the advice of seasoned canyon rafters I decided to stay with my trusty Azzuro Mare. I rigged the boat up on the beach at Lee’s Ferry Arizona (the put in for the trip) and my excitement grew, I knew at 13ft there would be little margin for error in navigating the massive holes and waves that I would be facing over the next 18 days. As the trip progressed each day brought a unique and exciting challenge, and through all the beauty and grandeur of the canyon the Azzuro triumphed. It had no problem blasted through the infamous “V” wave in Lava Falls, it was maneuverable enough to miss the terrifying pour-over in Crystal rapid, and it handled the gigantic 5th wave in Hermit with grace. 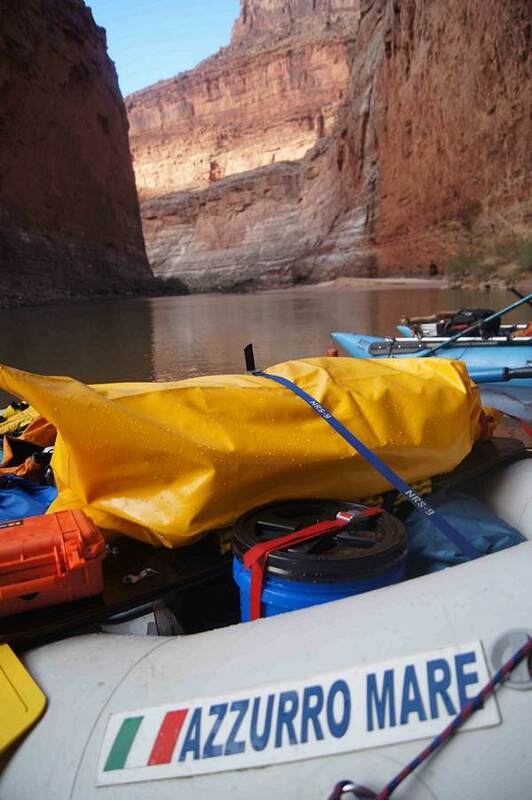 \r\n\r\nI set out to raft the grand canyon because it sounded like an incredible adventure, but inadvertently I found myself proving that even the biggest river trips can be done on a budget, and rafting doesn’t have to mean breaking the bank for a 4-6 thousand dollar setup. 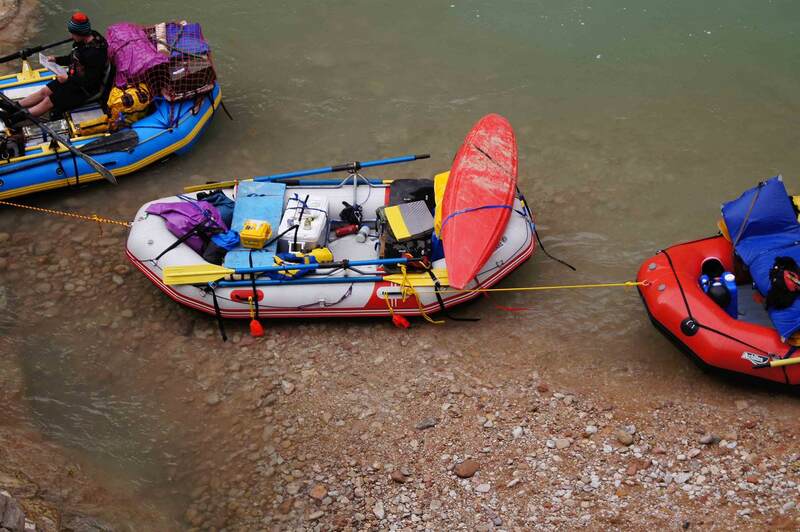 The Azzuro Mare river raft drew me in with its practicality and affordability, but never would I have guessed the lengths it would take me to. So whether your goal is to get out for a fun family activity a few times a summer, or to go on a trip of a lifetime, I believe the Azzuro Mare has the means to take you there.